How important is home security to you? Who doesn’t appreciate a good residential locksmith? One thing shared by most people in Ontario is their concern about the security of home doors and all entry points. We can take care of such concerns! We can take care of problems! Our Payless Locksmith in Aurora is the ideal contractor for such needs. Our experience with home security systems and the years we have dedicated to this job allow us to offer the best service in Aurora and be of invaluable assistance to every one of our clients. Security needs are not one-dimensional. 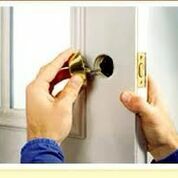 People need excellent house lock change service and want to be sure that every part of their home is properly secured. They want internal security as well and from time to time they would need repairs or to replace some of the existing locks. 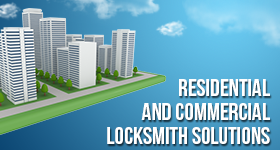 The services of our Aurora Residential Locksmith couldn’t be one-dimensional either. We certainly offer our assistance every time there is need for services related to either keys or locks. We might come for lock rekey on Monday and return for the replacement of another lock on Friday. We might offer repair services today and consultation tomorrow. We are a multi-dimensional company for the hundreds of your needs and we can assure you that our competence will amaze you whether you want lock repair or replacement. We actually replace locks of all types. Having extensive knowledge of all locking systems, including the latest electric bolts and special keys, is of the essence in our job. That’s why we are the best Residential Locksmith in Aurora! With such expertise and knowledge, we can be of assistance with all your needs. Whether you want us to install locks at your front door or to fix one of your cabinet locks, our work will be efficient and excellent. Our company is very supportive during emergency problems, too. We have fast technicians, take care of broken locks and keys, and are at your service 24/7.